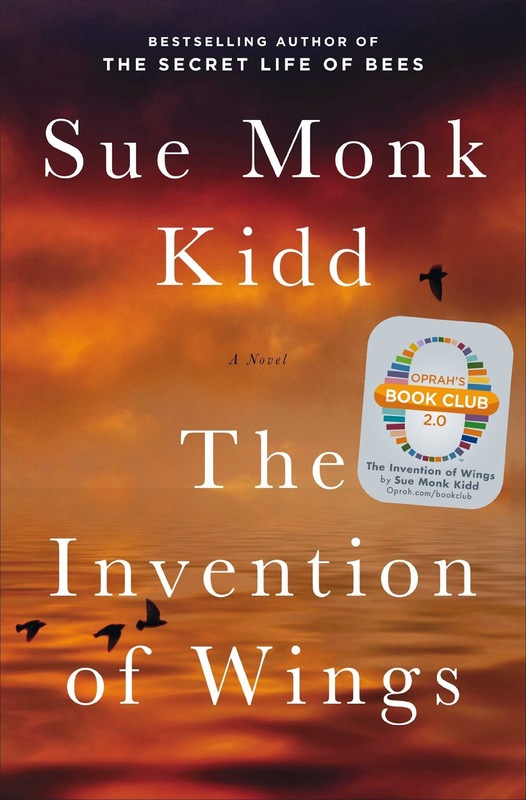 Sue Monk Kidd's new book, The Invention of Wings, does not have a cover that would make me want to read it. But when Penguin asked if I wanted to review it, I gleefully said yes, SOLELY based on the fact that I saw the movie The Secret Life of Bees and thought it was damn fantastic. I trust Sue Monk Kidd. Also I have a fondness for books set in the South, and oh my, does this deliver in that regard. While Secret Life of Bees was set in the 1960s, The Invention of Wings goes all the way back to early 1800s Charleston, South Carolina. 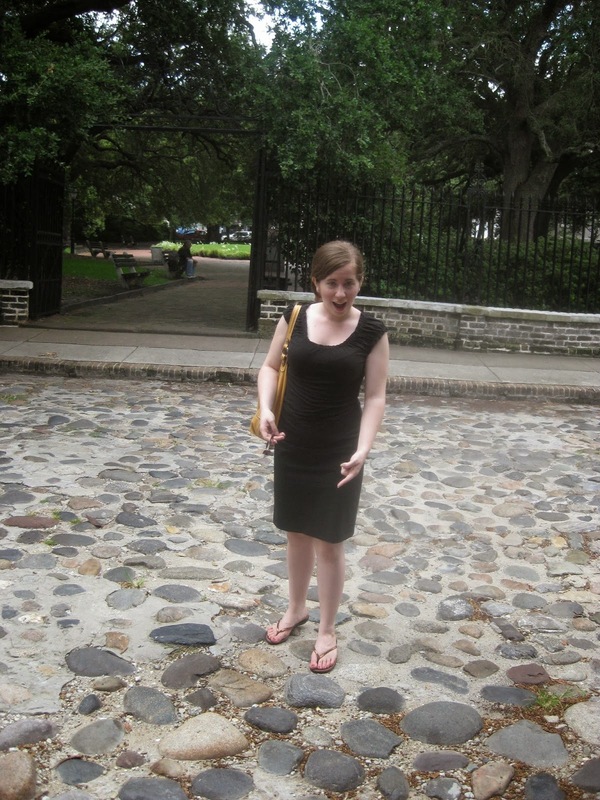 I've BEEN to Charleston, and let me assure you, it is kickass. 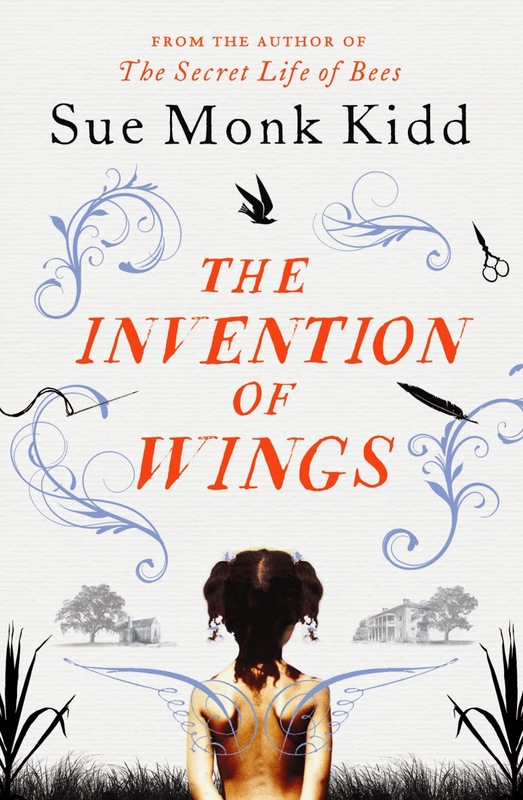 The Invention of Wings alternates narratives between Sarah Grimké and one of her family's slaves, Hetty (or "Handful"). This device could remind one of The Help, only The Help turned out in the end to be all about the Southern white lady and her problems and not so much about the actual help, whereas Kidd has no problem making Sarah's issues seem comparatively insignificant. Handful is never suddenly overcome with sorrow about something bad that has happened to Sarah, because HANDFUL IS OWNED BY SARAH'S FAMILY. Sure, she feels bad for her sometimes, but you can't really get around the "Yeah, that's really terrible, but I could be sold to a rice plantation tomorrow if your mother decides it" thing. I didn't know for sure whether Miss Sarah's feelings came from love or guilt. I didn't know whether mine came from love or a need to be safe. She loved me and pitied me. And I loved her and used her. It never was a simple thing. Sarah Grimké and her sister Angelina (or "Nina") were real people, although Kidd says her aim was "not to write a thinly fictionalized account of Sarah Grimké's history, but a thickly imagined story inspired by her life." This would normally bother me, but since Handful's narrative is almost entirely imagined, it helped me let go of worrying what was real and what wasn't. If I had a question, I ran to Wikipedia. The overall facts of their lives are real, and made me somewhat ashamed of our school system and myself for never having heard of the Grimké sisters before. They were staunch abolitionists from a wealthy Charleston family living in the early 1800s. This went so against the tide of popular sentiment, I cannot even fathom it. Their family's house in town had 17 slaves. And they somehow came to the realization that slavery was wrong, and acted on it. Acted on it so much that they moved NORTH (horror of horrors) and wrote pamphlets that were not only burned in Charleston, but got them banned from the city. This was at a time when even in Philadelphia, some abolitionists had bounties on their heads. The Grimké sisters also espoused the cause of women's rights, and their arguments impacted women like Lucy Stone, Elizabeth Cady Stanton, and Lucretia Mott. "Sarah was the first woman in the United States to write a comprehensive feminist manifesto, and Angelina was the first woman to speak before a legislative body." Can you believe that! And no idea who they were. Until this book. I couldn't have explained then how the oak tree lives inside the acorn or how I suddenly realized that in the same enigmatic way something lived inside of me—the woman I would become—but it seemed I knew at once who she was. Kidd also accomplishes what I find to be a marvelous thing, which is to make a feminist in 1803 a believable feminist in 1803. A few times at the beginning, I said "What! No," about some deed of Sarah's, positive that this was yet another case of someone from a future time placing modern day values in the past to make a character seem forward-thinking. But no. Every time, it was something Sarah Grimké had actually done. And as always, the fact that this is a book I actually finished should be some sort of testament to it. If you need further incentive to read it, check out the Australian cover, because I would read THAT book in a heartbeat.